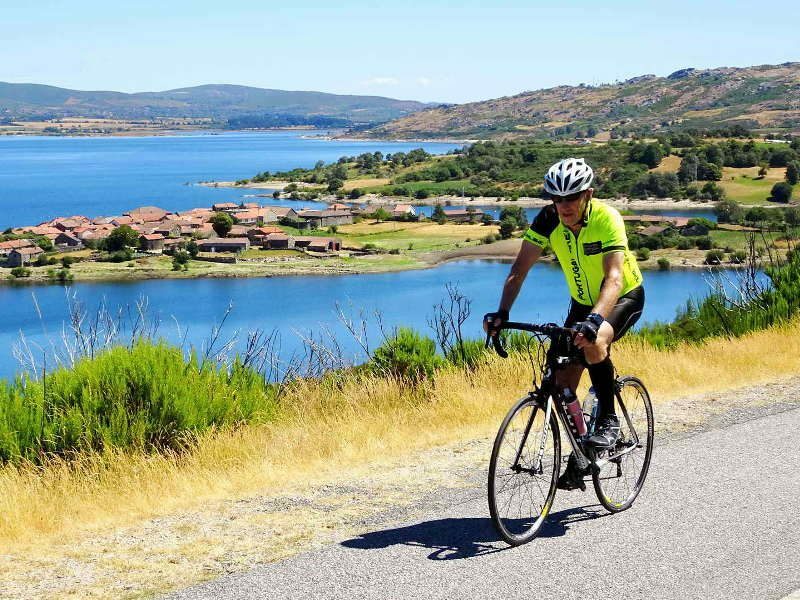 On this 13-day road bike tour you will visit some World Heritage sites in Portugal, and you will ride along the Atlantic coast. 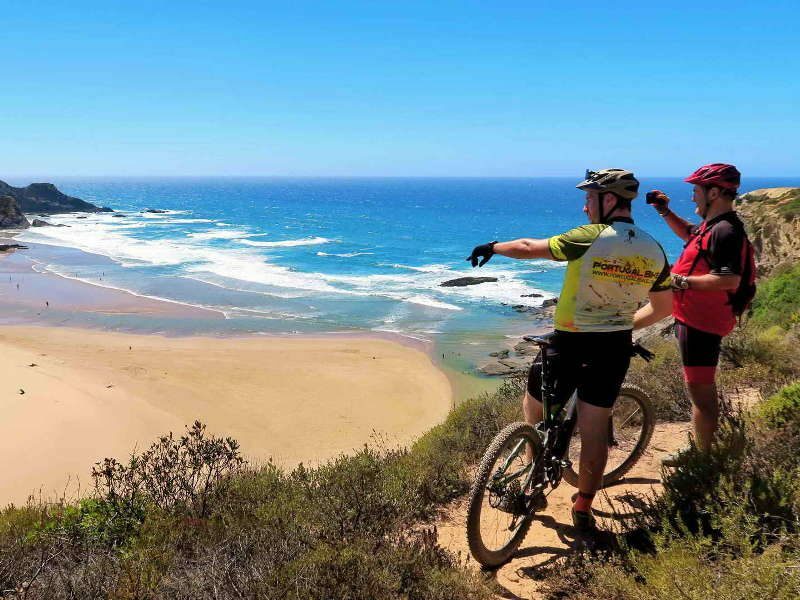 The best bicycle tour to visit some historic places of Alentejo region and the beautiful Portuguese coast north of Lisbon. 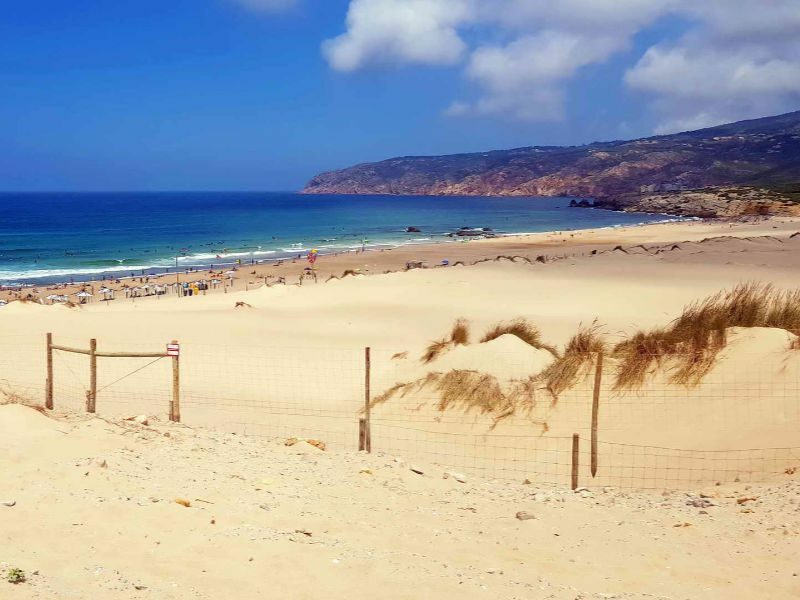 On this 12-day bike tour you will ride the long Atlantic coast from south of Lisbon to the extreme East side of the Algarve region, crossing the south-westernmost point of Europe, the Cape S. Vincent. 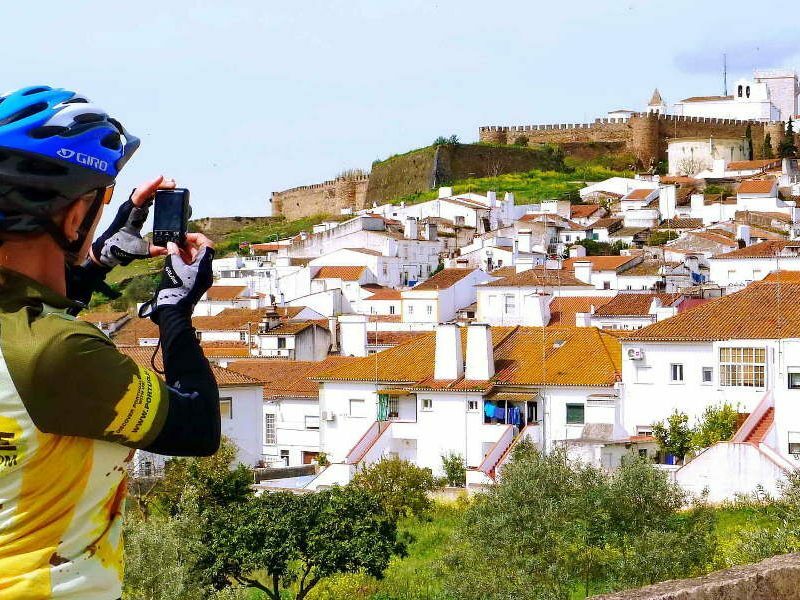 On this 7-day bike tour you will visit the most historic places of Alentejo region, staying in Castles, Monasteries, Convents and Palaces. 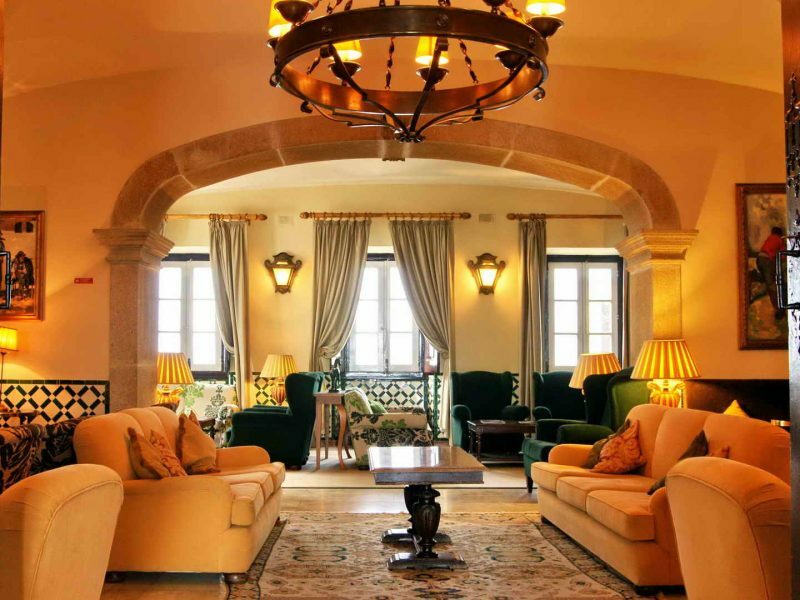 Romantic environment and Heritage show you the History of Portugal. 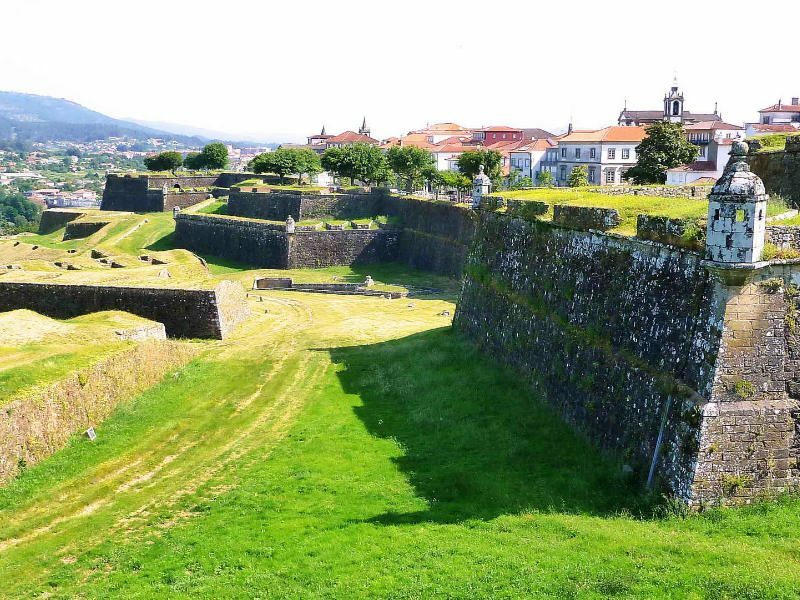 Enjoy a 7-day tour biking in Portugal to discover the castles and the land of ancient fights and battles. Learn History, stay in World Heritage sites and enjoy the beautiful and quiet landscape of Alentejo region. 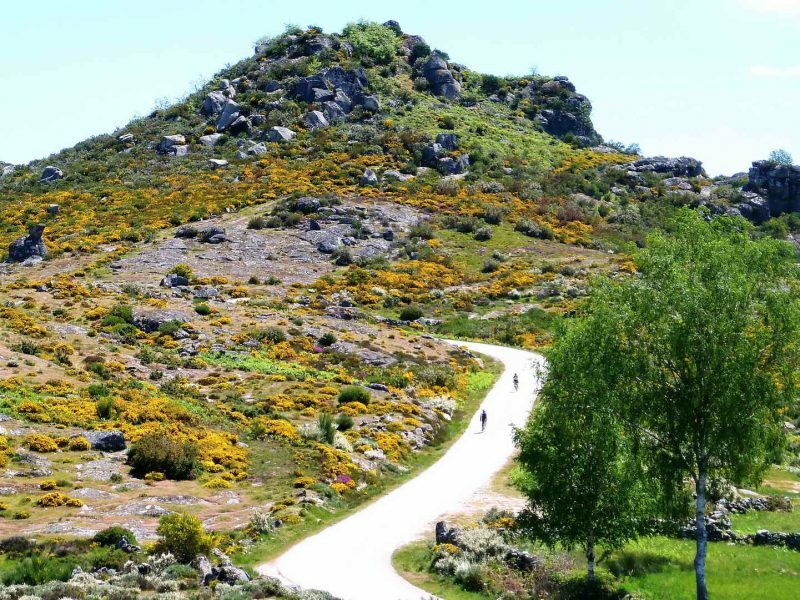 Enjoy a 6-day road bike tour to know the luxuriant landscape in the largest National Park in the North of Portugal and Spain. 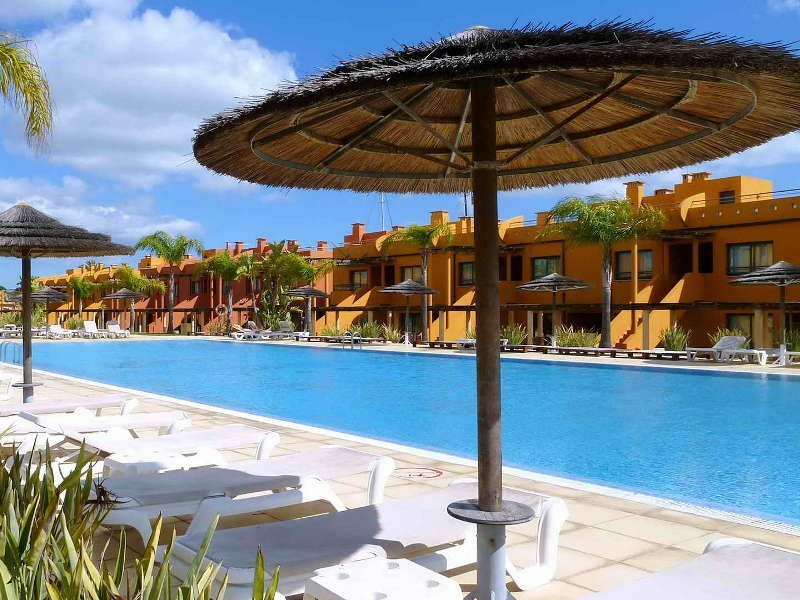 You are invited by natural beauty, small villages and protected landscape. 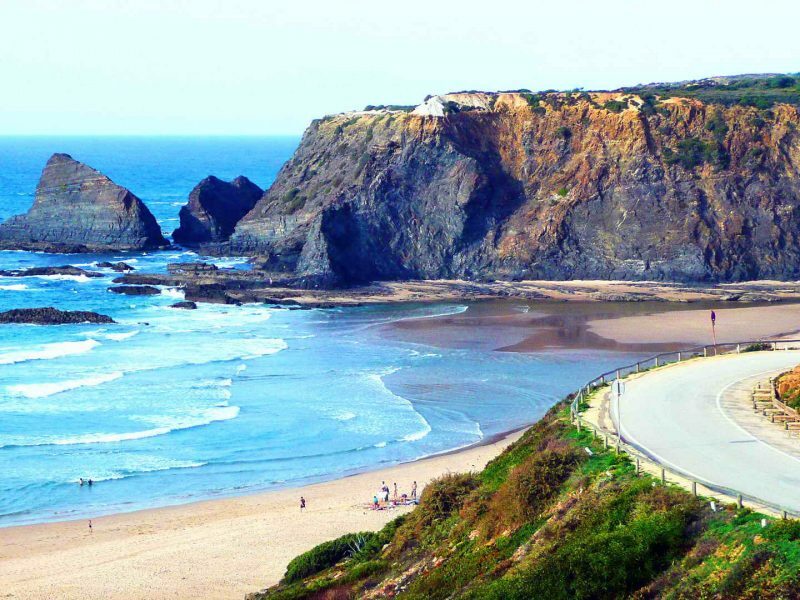 Have a 7-day road bike tour and enjoy cycling along the south-west coast of Portugal. 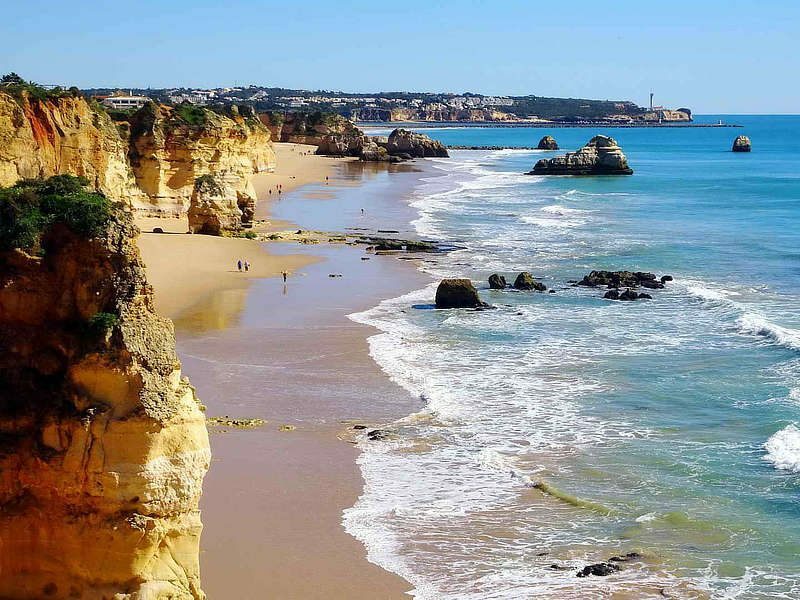 The long Atlantic coast from south of Lisbon to the Algarve region, crossing the Cape S. Vincent, the south-westernmost point of Continental Europe. 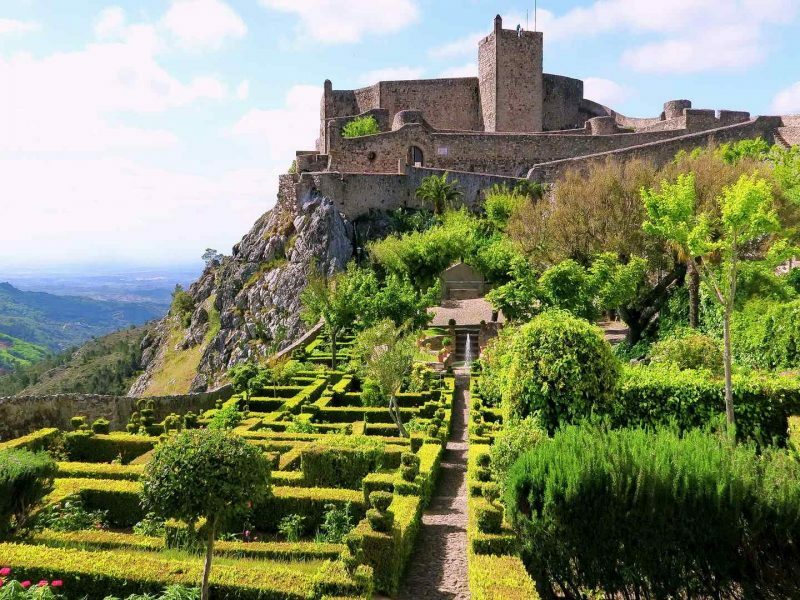 Enjoy a 7-day bike tour to discover the castles and the land of ancient fights and battles. 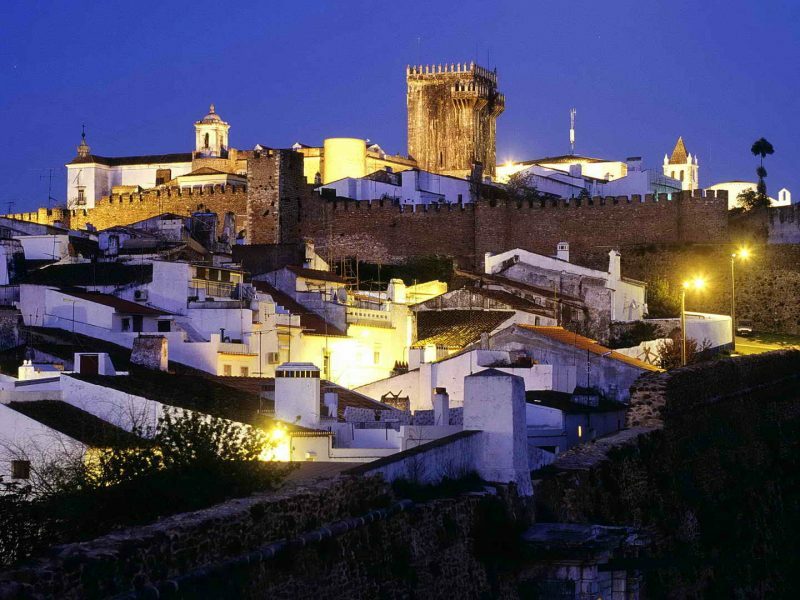 Learn History, stay in World Heritage sites and enjoy the beautiful and quiet landscape of Alentejo region. 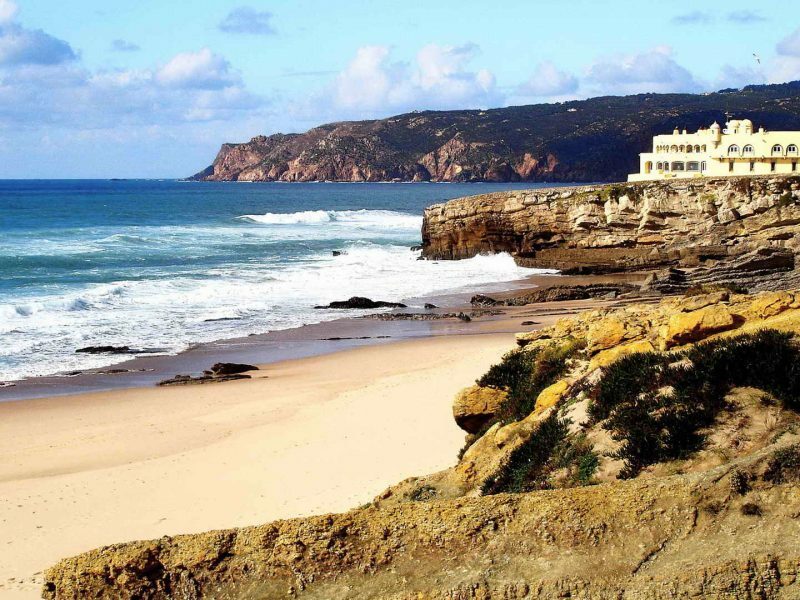 Have a 7-day bike tour and enjoy the south-west coast of Portugal. 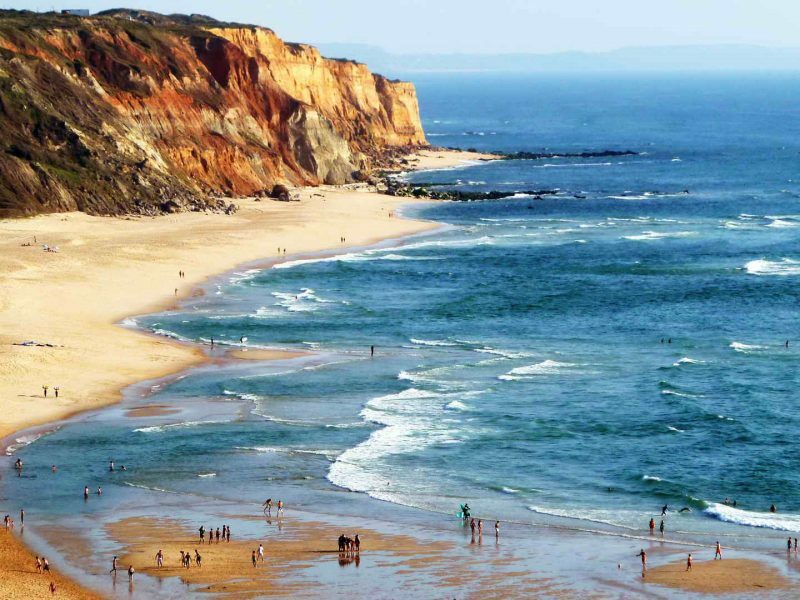 The long Atlantic coast from south of Lisbon to the Algarve, crossing the Cape S. Vincent, the south-westernmost point of Europe. 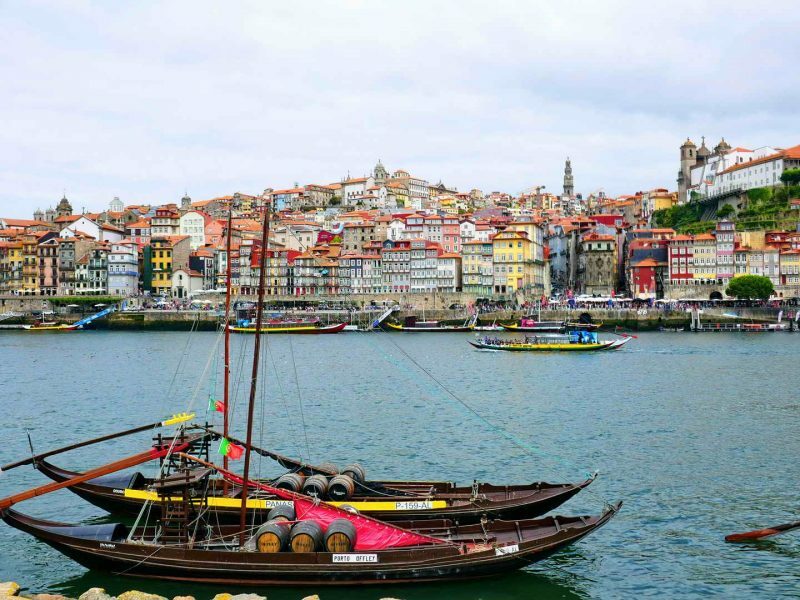 Enjoy a 7-day bike tour starting in Porto and following the coastline to Aveiro. 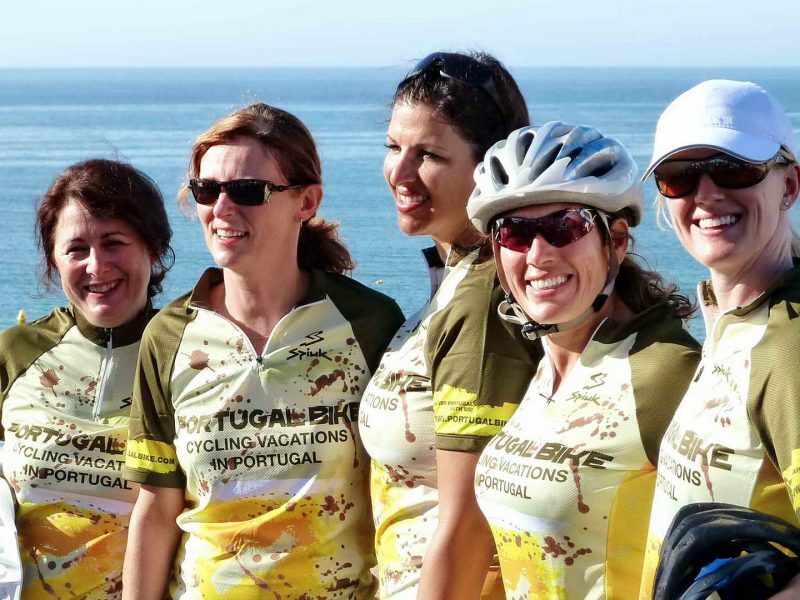 Ride along bike paths and learn about the History and the traditions of this beautiful region of Portugal. 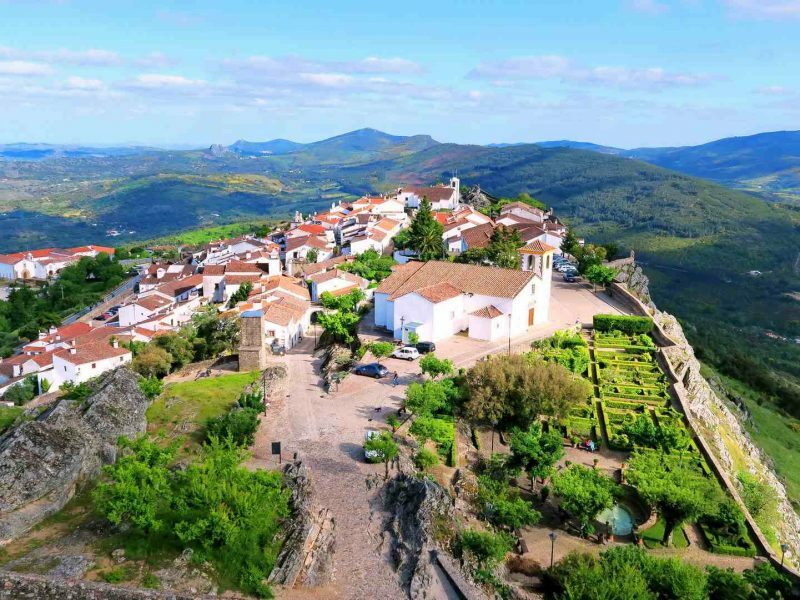 Enjoy a 11-day bike tour in the North of Portugal! 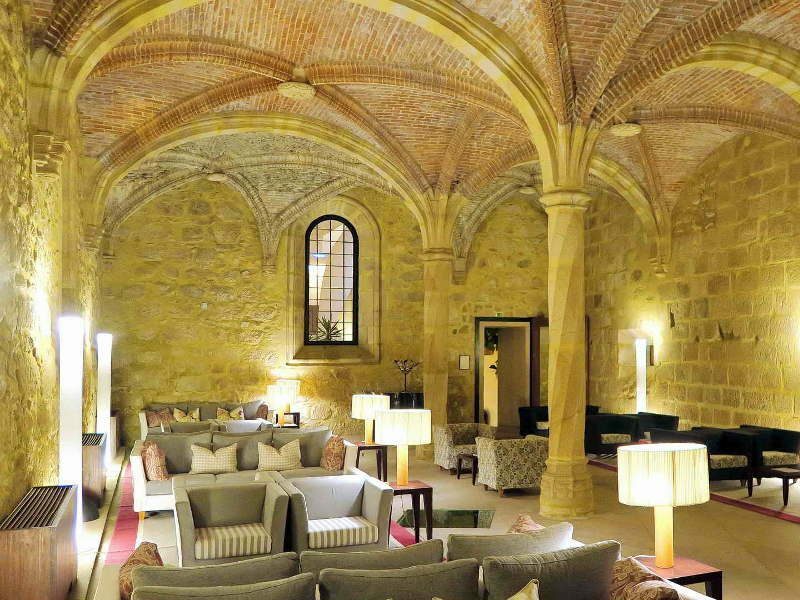 Ride along bike paths within a luxuriant environment and visit gorgeous medieval towns. 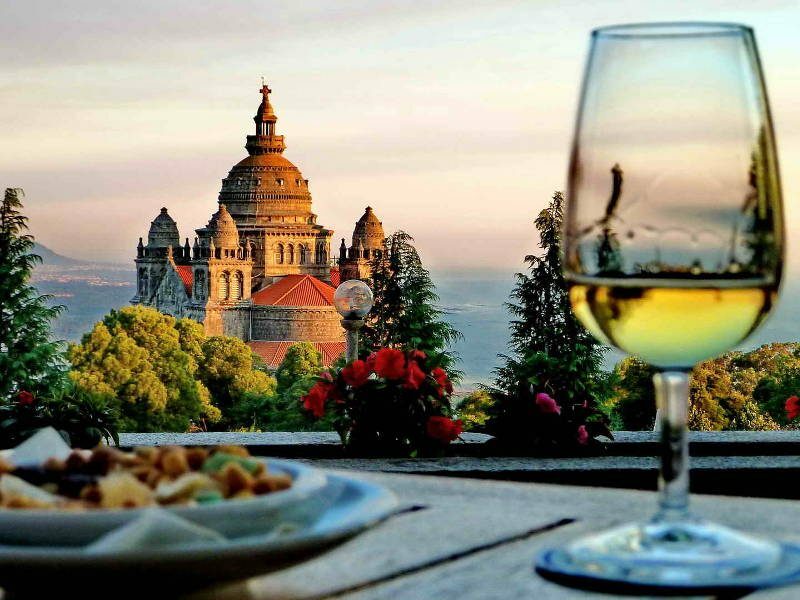 Discover the beautiful region of Vinho Verde (green wine). 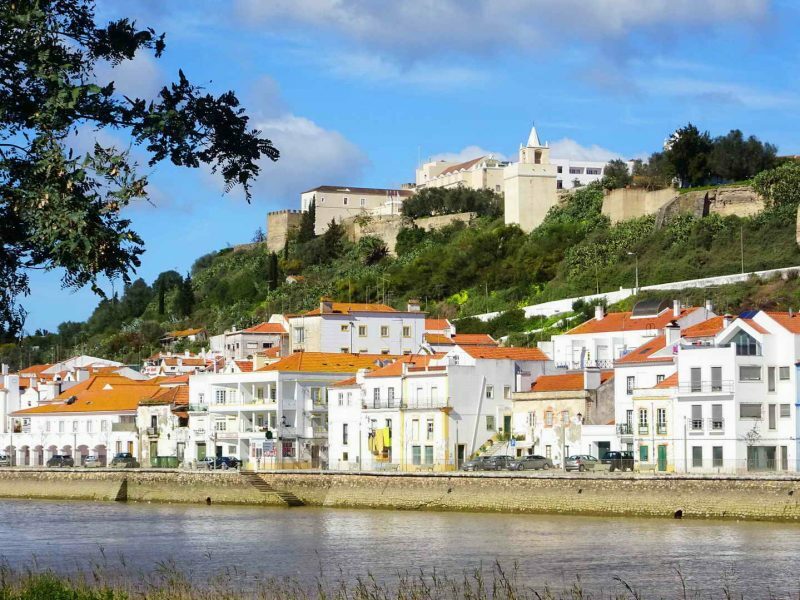 Have a 7-day bike tour in Portugal to know some of the most historic places in the North region. 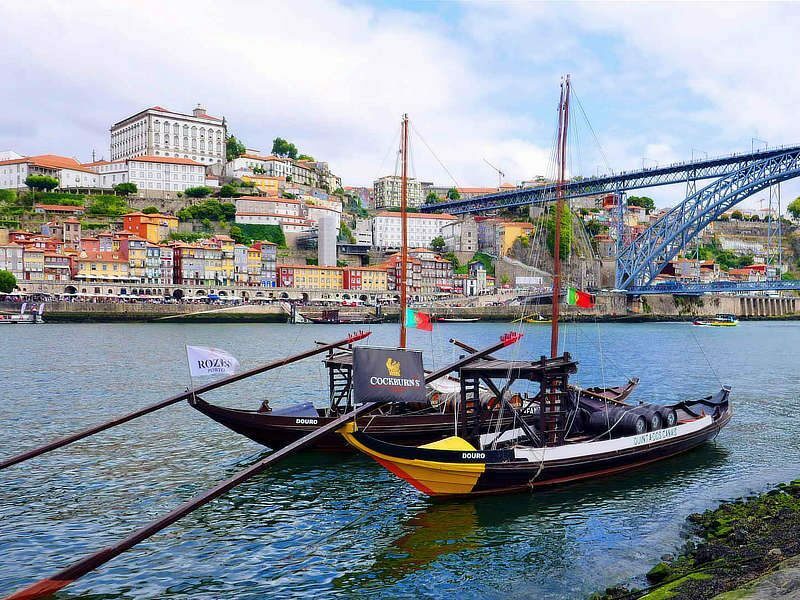 Luxuriant vegetation, the beautiful coastline environment and the Heritage show you Portugal History. 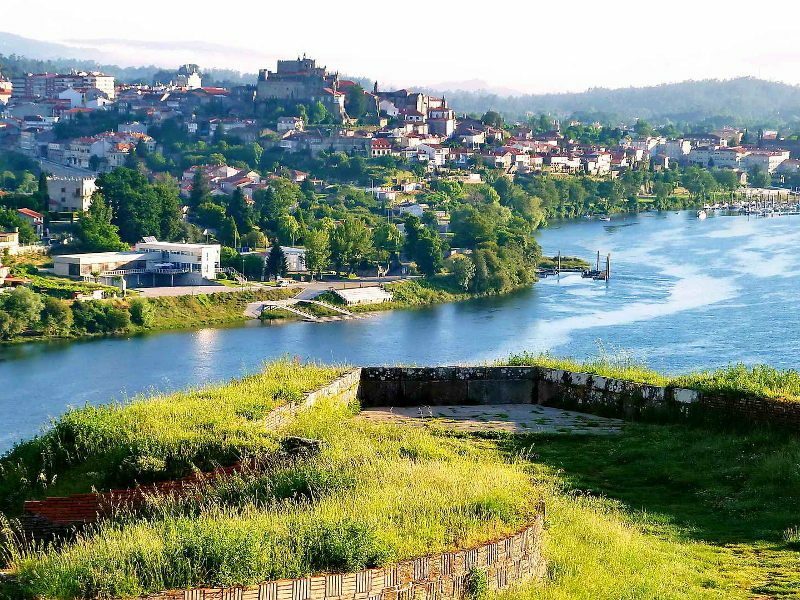 Enjoy a 7-day bike tour in the North of Portugal and visit the gorgeous ancient medieval towns.  Ride in a very green environment from inland to the coast and discover the beautiful region of Vinho Verde (green wine). 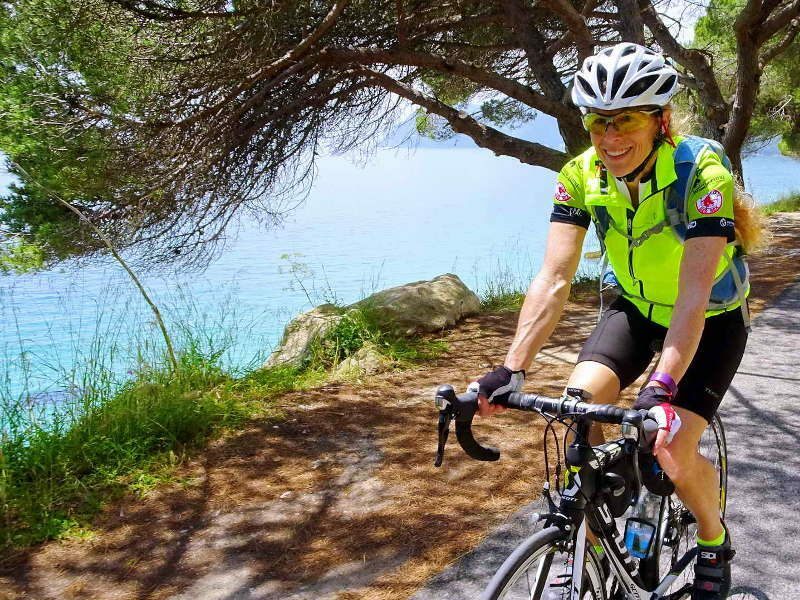 On this 7-day bike tour you will ride on the most well preserved coast in Europe. 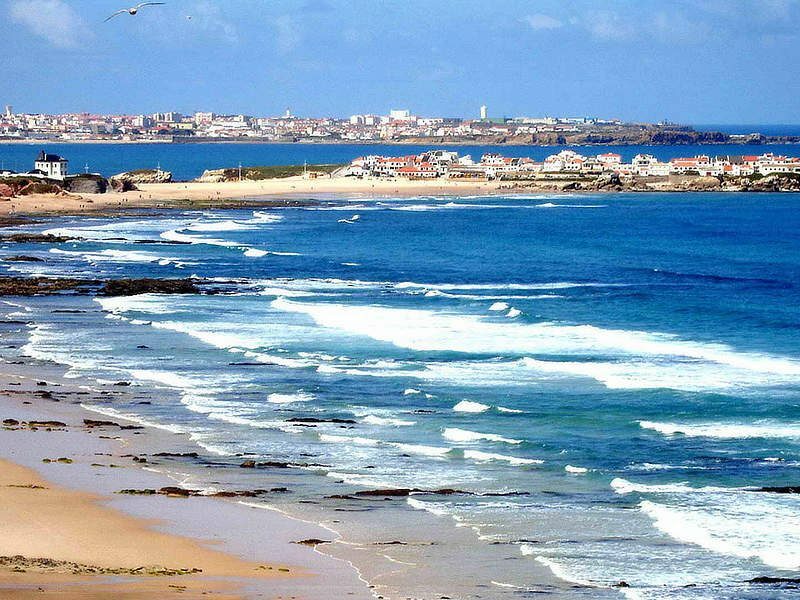 Admire the beautiful protected landscape, ride on the cliffs and enjoy the paradisiacal beaches along the Atlantic coast. 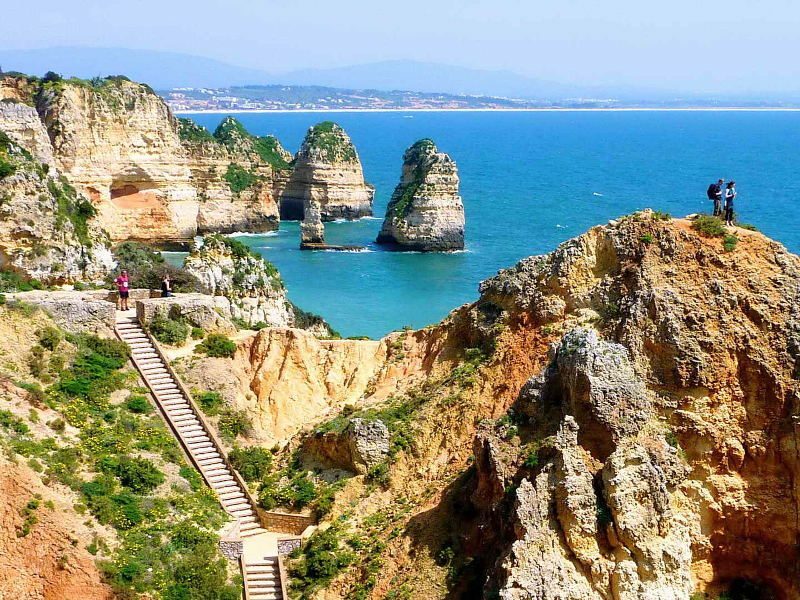 Enjoy a 7-day bike tour crossing the famous south coast of Portugal – the Algarve, from the West to the East side, and visit the south westernmost point in Europe and the cosmopolitan beaches. 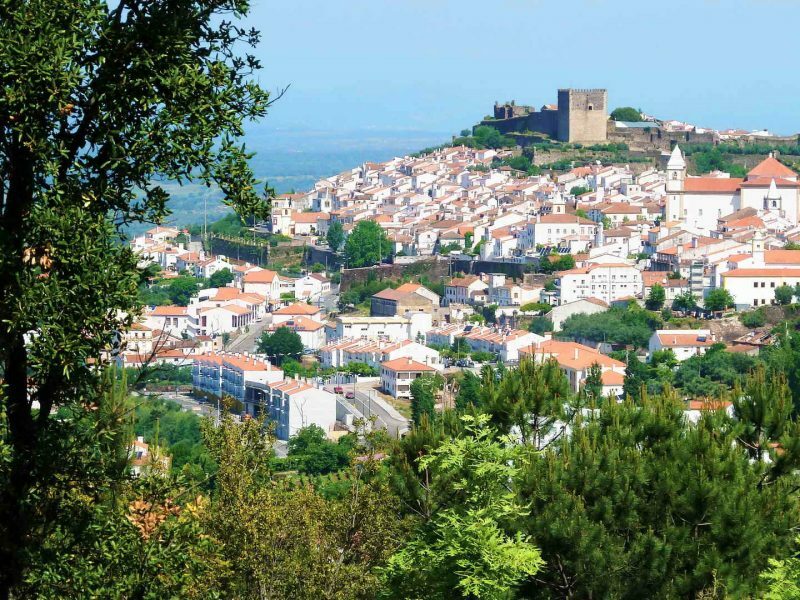 Visit the most well preserved medieval town in Portugal. 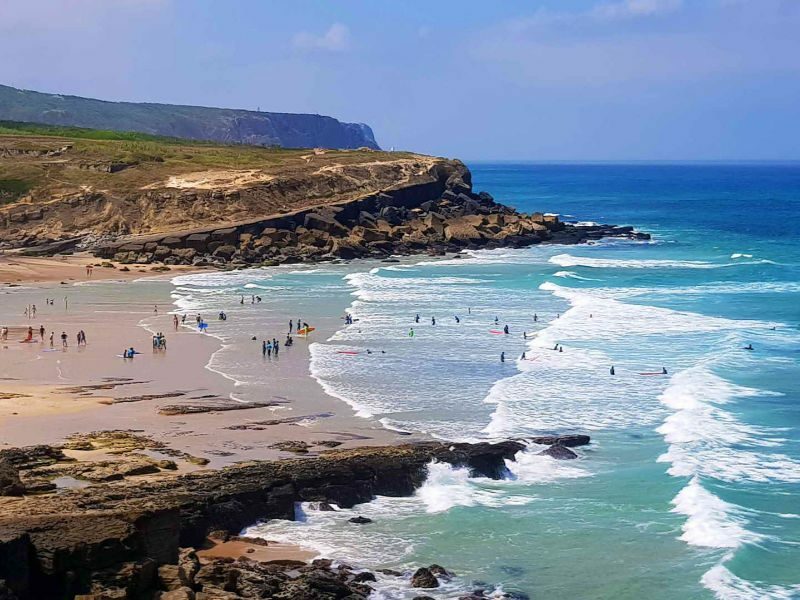 Discover the typical fisherman’s beaches along the coast north of Lisbon, known as the Silver-Coast, in a fantastic 7-day Portugal bike tour. 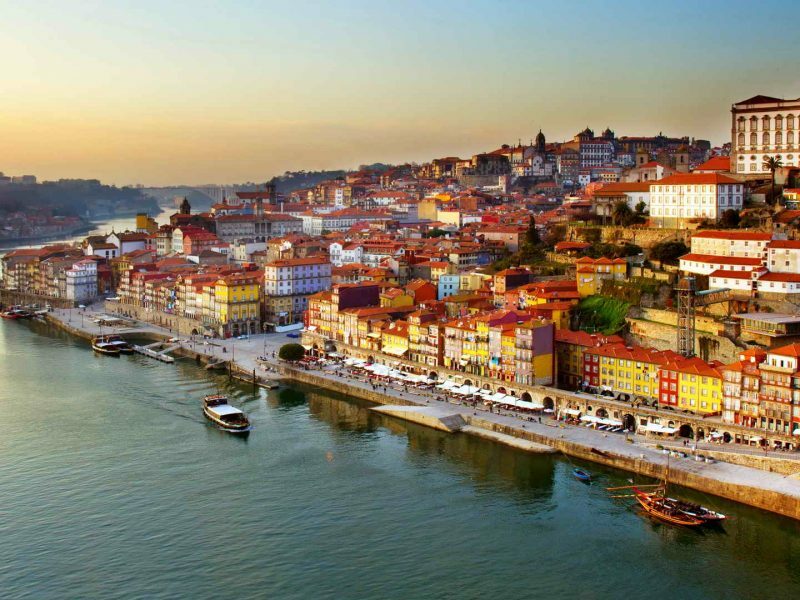 Enjoy a 7-day bike tour in the North of Portugal and visit the gorgeous ancient medieval towns. 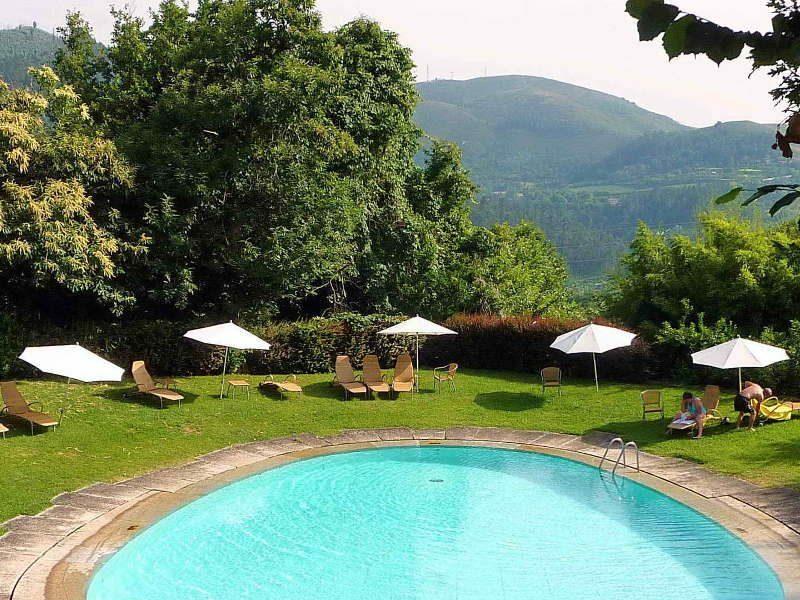 Ride in a green environment from inland to the coast and discover the region of Vinho Verde. 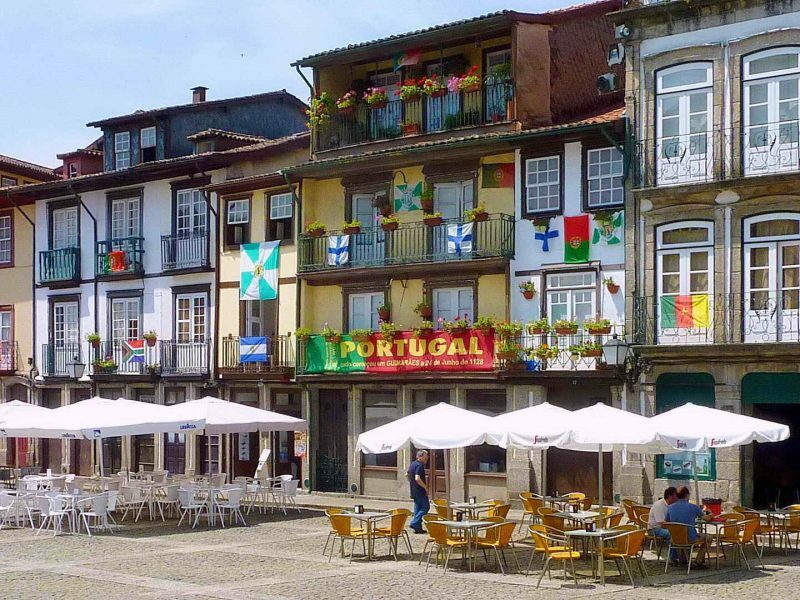 Visit the most well preserved medieval town in Portugal. 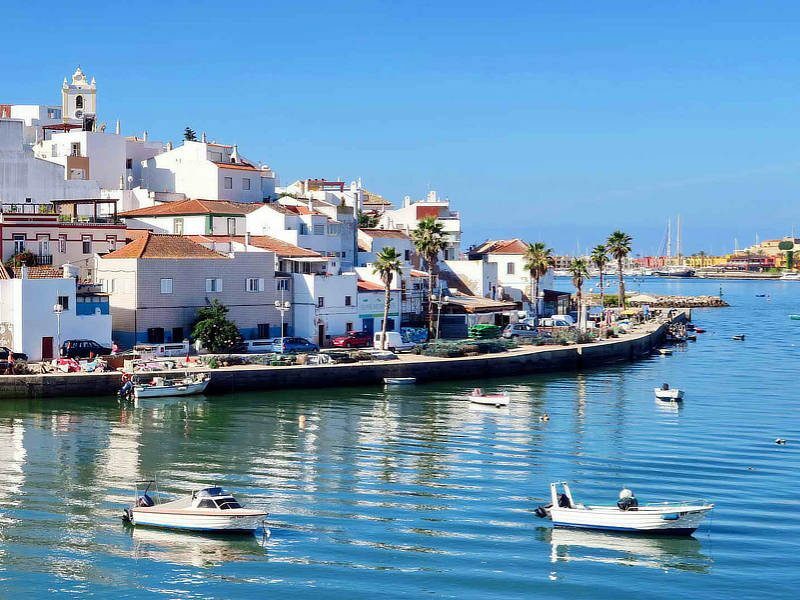 Discover the typical fisherman’s beaches along the coast north of Lisbon, known as the Silver-Coast, in a fantastic 7-day bike tour in Portugal. 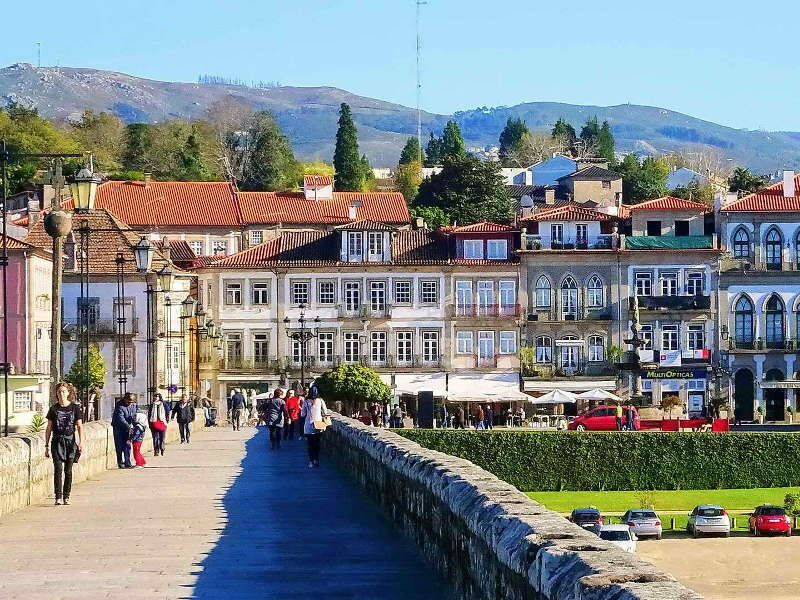 Cycling the Camino de Santiago is a 7-day tour from Porto through seaside Atlantic villages, ancient Roman roads, dense woods and centuries old pilgrims’ footpaths to Santiago de Compostela. 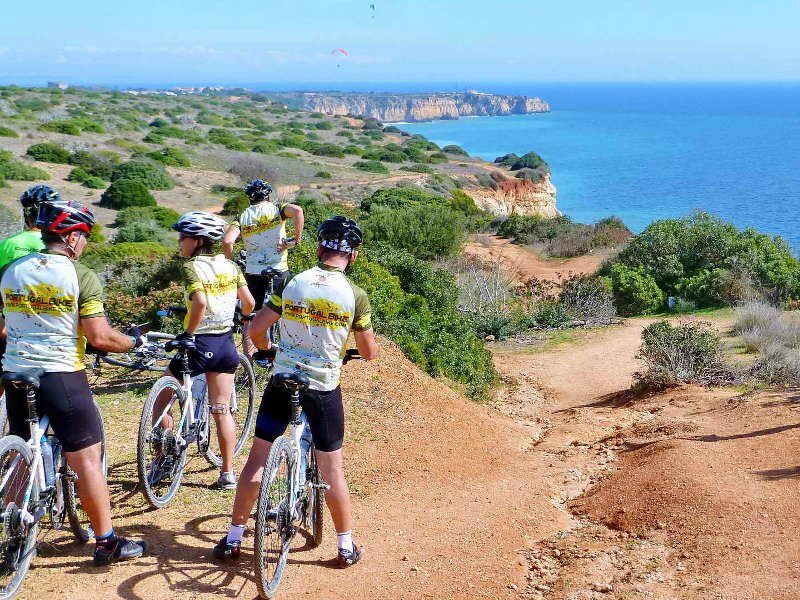 Enjoy a 9-day mountain biking in Portugal from south Lisbon to the Algarve. 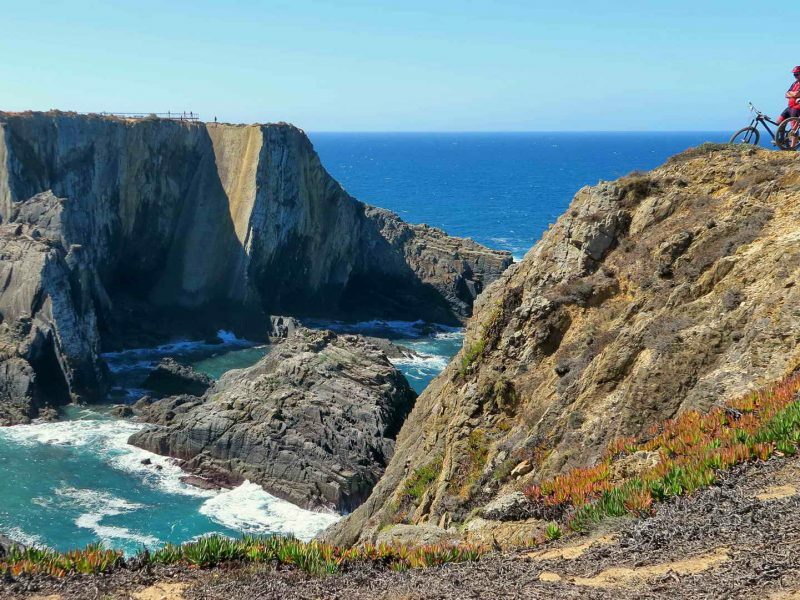 One of the most beautiful mountain bike tours in Portugal that you can do along the most well-preserved coast of Europe. 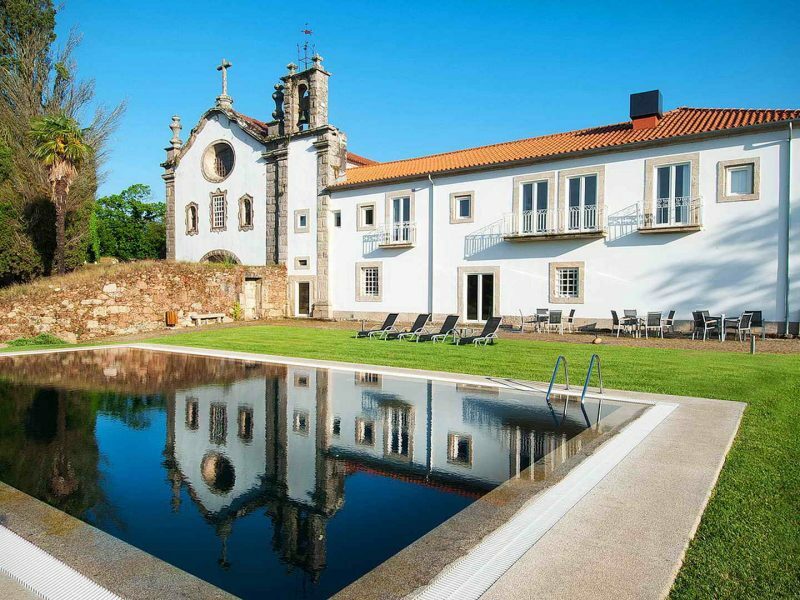 Enjoy 6-day mountain biking in Portugal along the most well-protected coast in Europe. 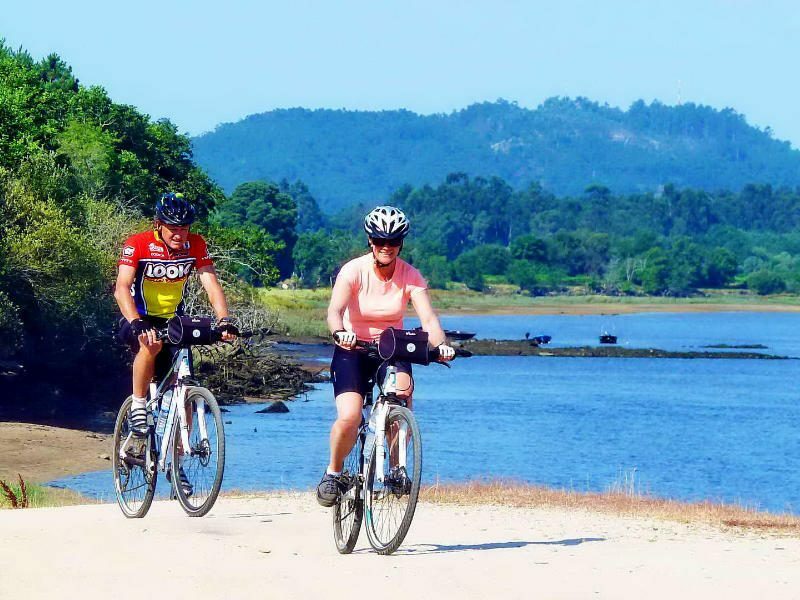 Cross small villages and ride on the top of the amazing cliffs and discover the paradisiacal beaches. 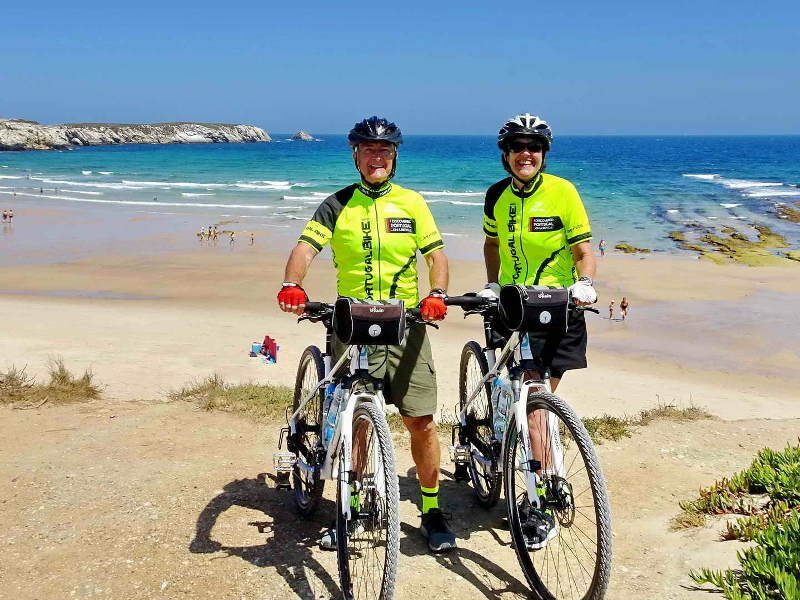 Bike to reach the south westernmost point of Europe. 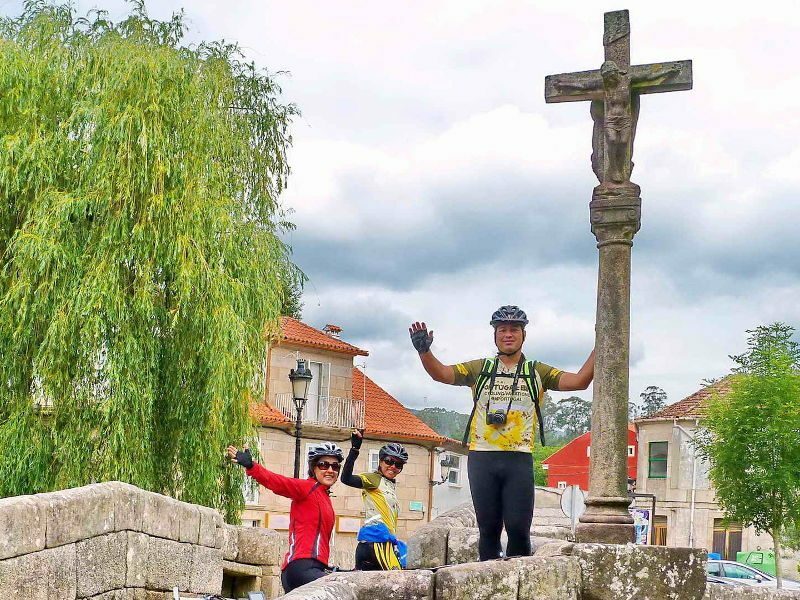 7-day biking the Camino de Santiago de Compostela (The Way of St. James): Enjoy the PORTUGUESE PILGRIM’S WAY (Camino Portugues). The mystic Way, full of positive energy, of belief and of Faith. 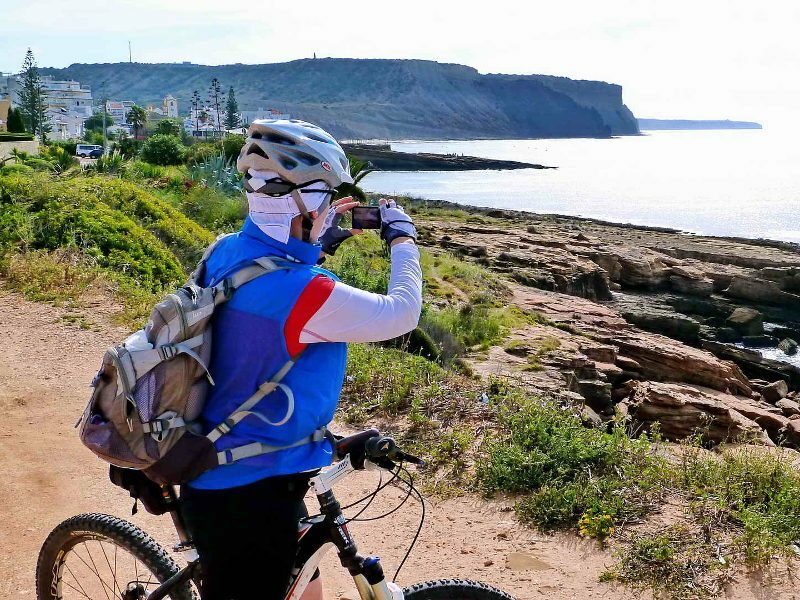 6-day mountain biking along the most well-protected coast in Europe. 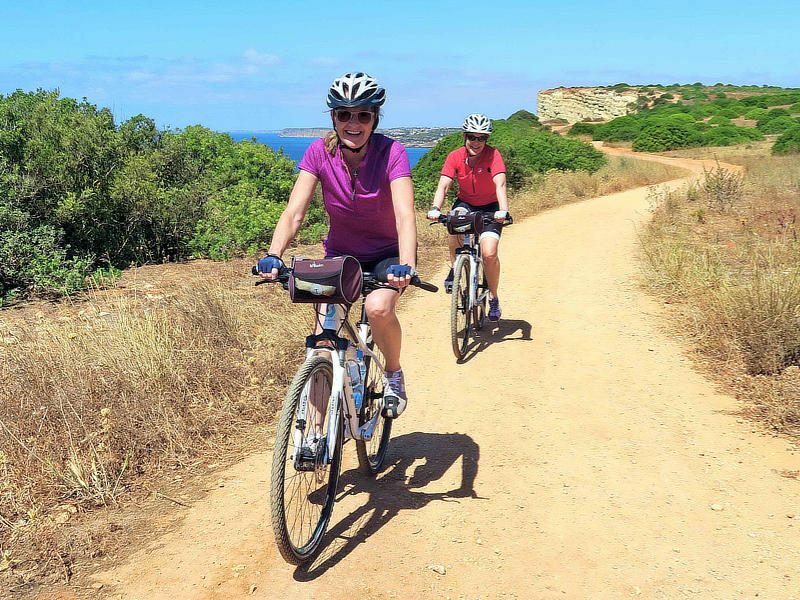 Ride on the top of the cliffs and discover the hidden paradisiacal beaches. 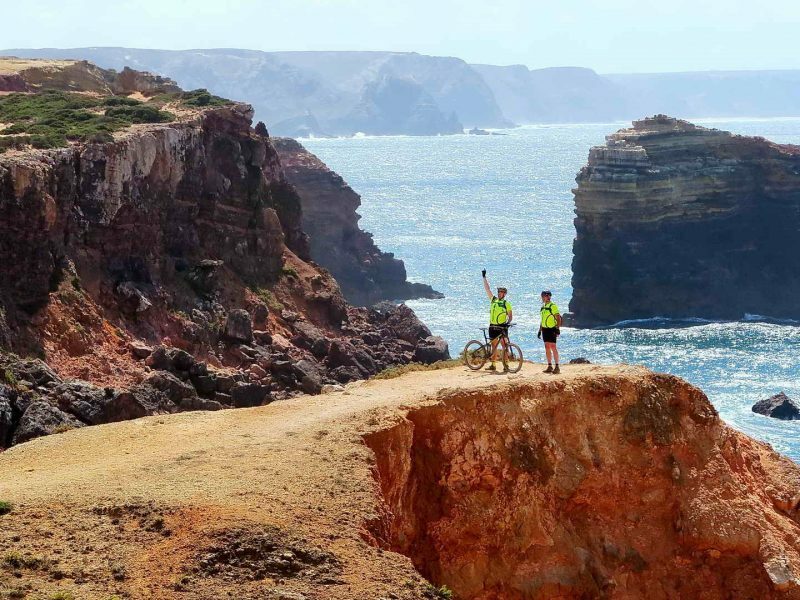 Bike to reach the south westernmost point of Europe. 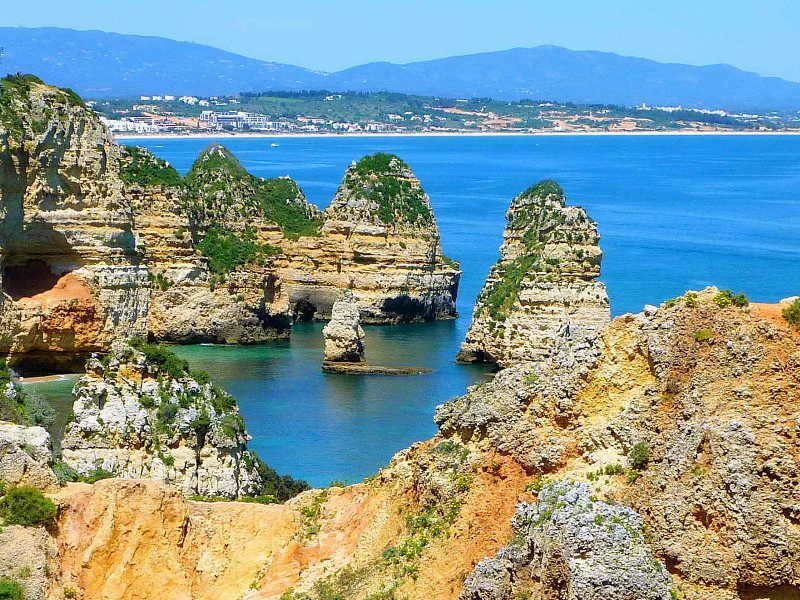 6-day cycling in Portugal along the most well-protected coast in Europe. 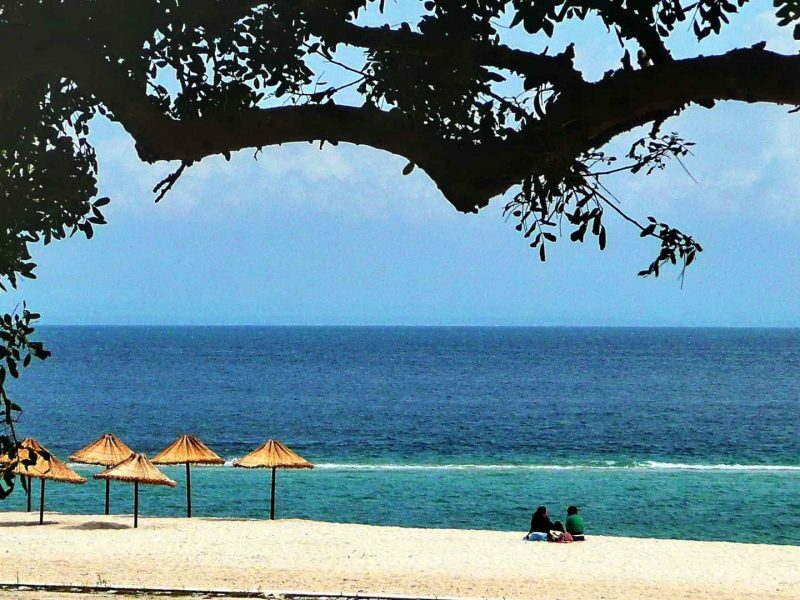 Ride on the top of the cliffs and discover the hidden paradisiacal beaches. 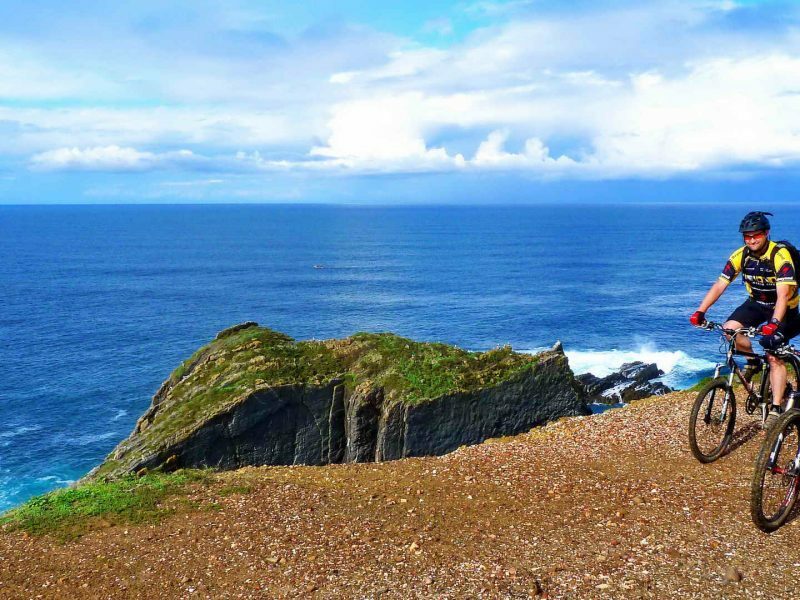 Bike to reach the south westernmost point of Europe. 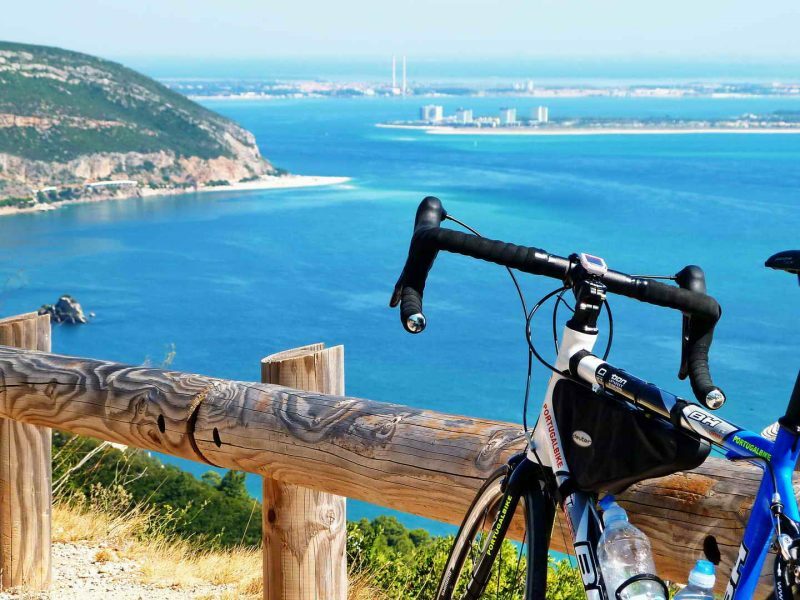 A one-day Road Bike tour in Portugal that crosses the Natural Park of Arrabida Hills and shows you gorgeous views over the deep blue sea. 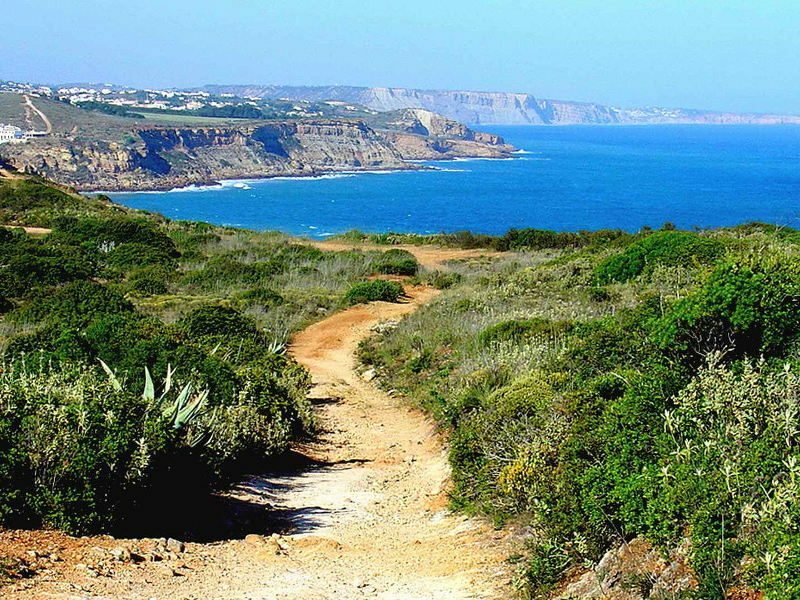 The best example of Mediterranean vegetation in Portugal. 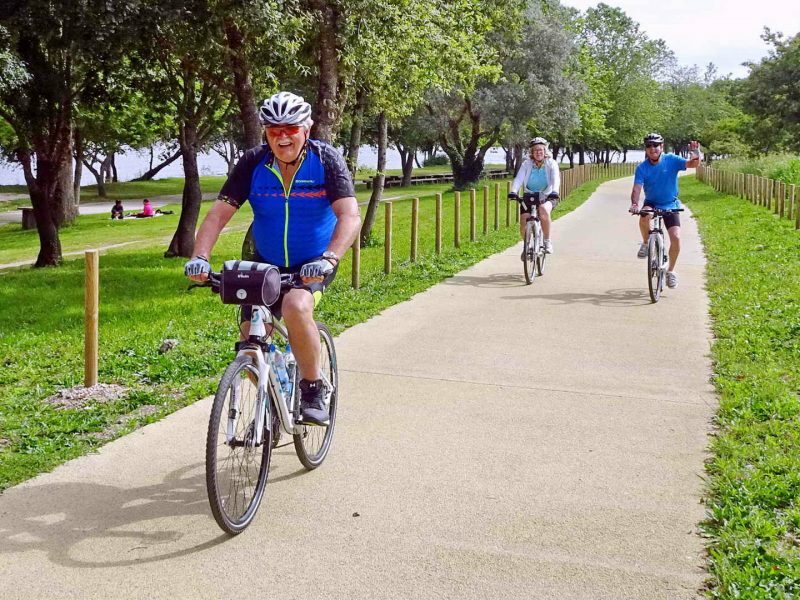 Enjoy a one-day Road Bike tour in Portugal and discover the beautiful landscape with a luxuriant vegetation of the Natural Park of Sintra-Cascais. 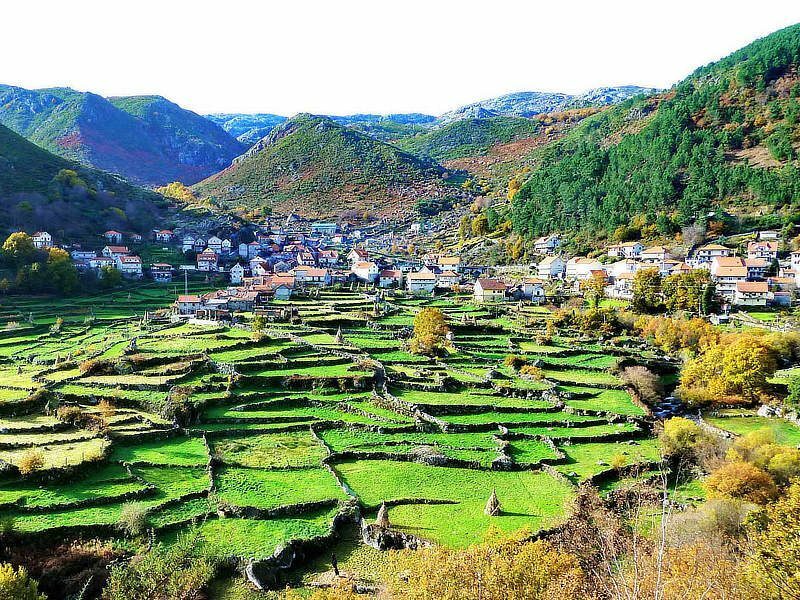 The best example of a rainforest in Portugal. 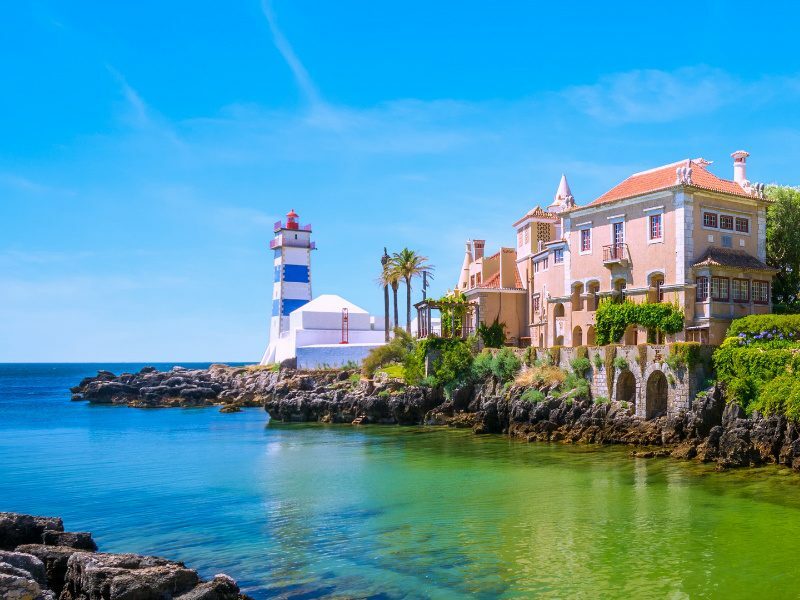 This hybrid bicycle tour starts in the cosmopolitan town of Cascais and goes along the sea with amazing views over the Guincho beach and the coast of Cascais. 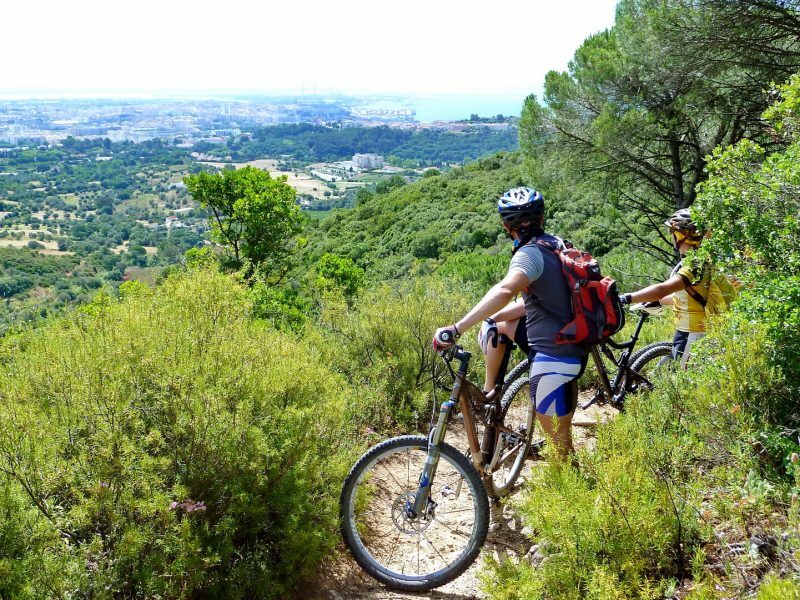 Enjoy one-day Mountain Bike Tour in Portugal in the Natural Park of Arrabida Hills with a breathtaking view and dense Mediterranean vegetation. Single-tracks and tunnels of trees are waiting for you. 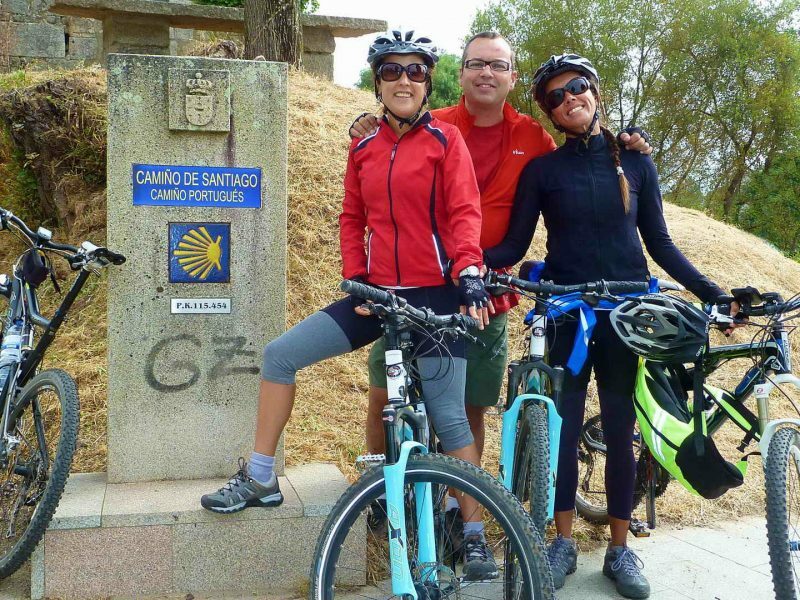 Starting this mountain bike tour at the castle in Sesimbra, you will ride along the National Park of Arrabida Hills. 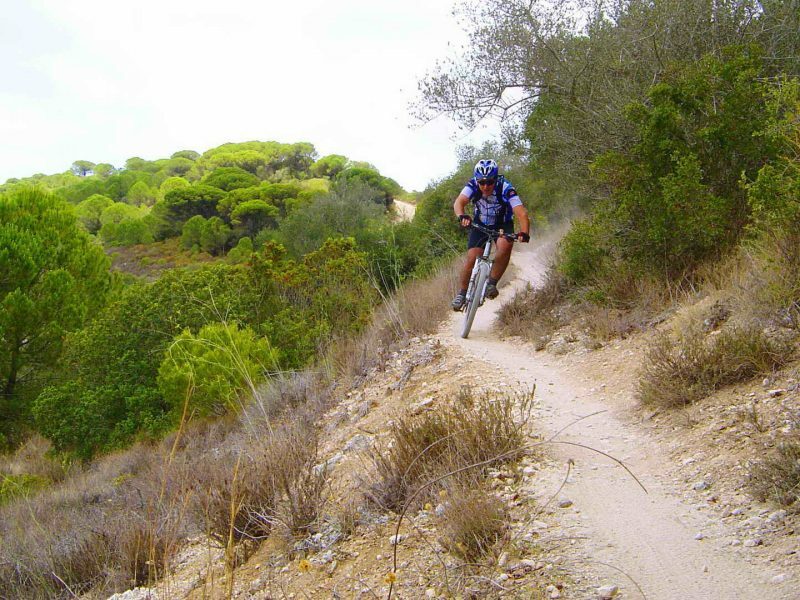 Enjoy the beautiful and winding single-tracks in the Mediterranean forest and end in Setubal. 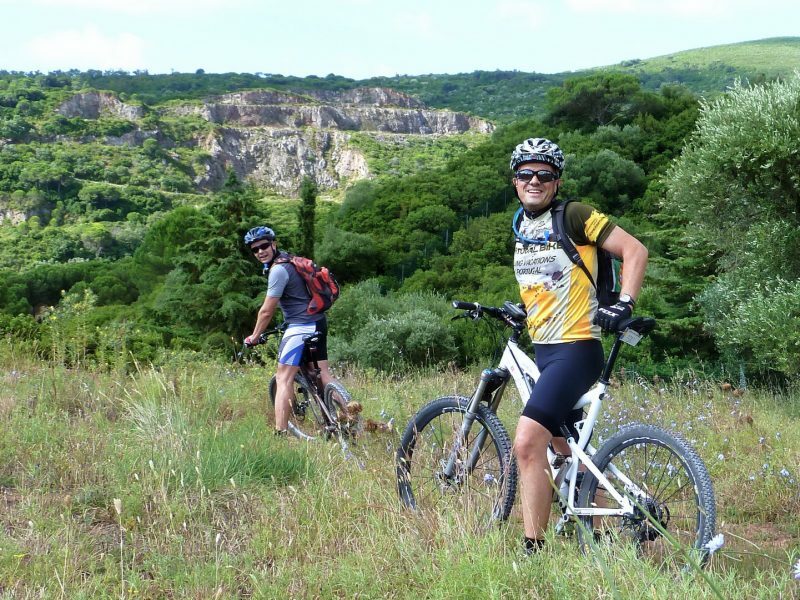 Enjoy one-day Mountain Bike Tour with a breathtaking view and dense Mediterranean vegetation. 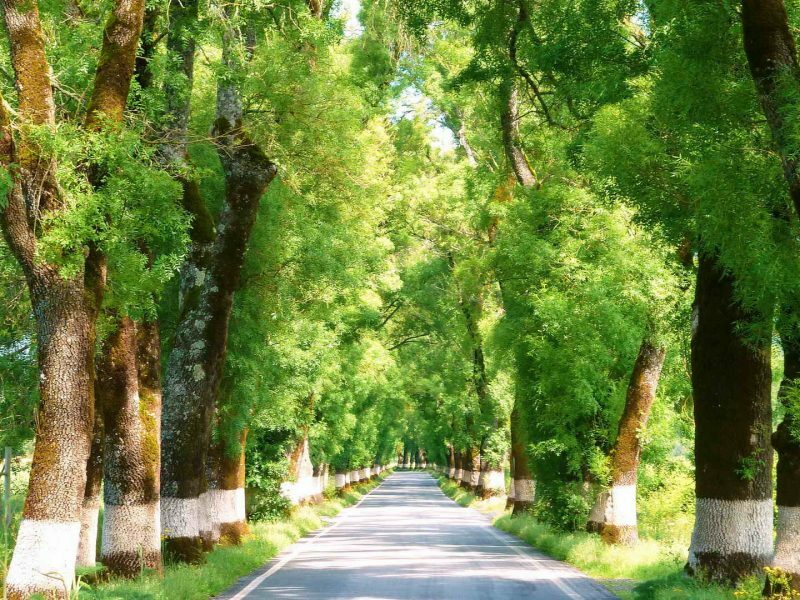 Single-tracks and tunnels of trees are waiting for you. 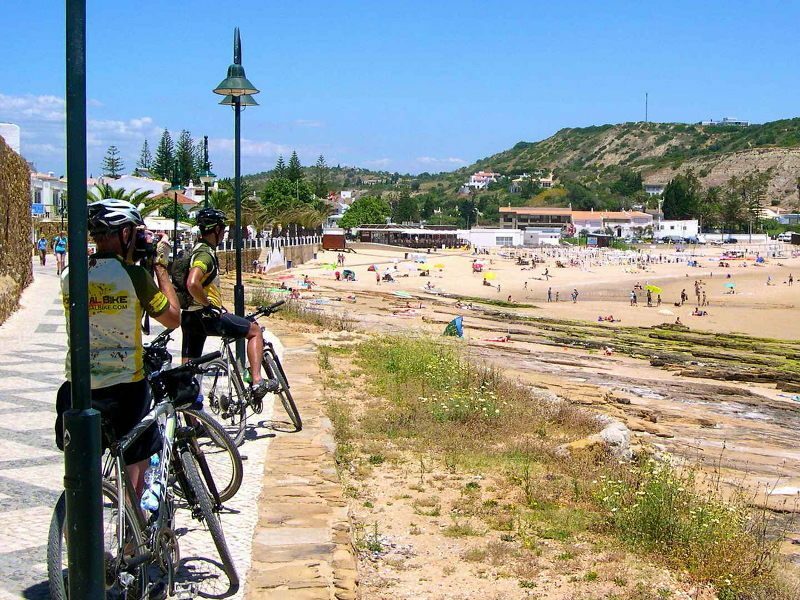 Starting this mountain bike tour of the castle in Sesimbra, you will ride along the National Park of Arrabida Hills. 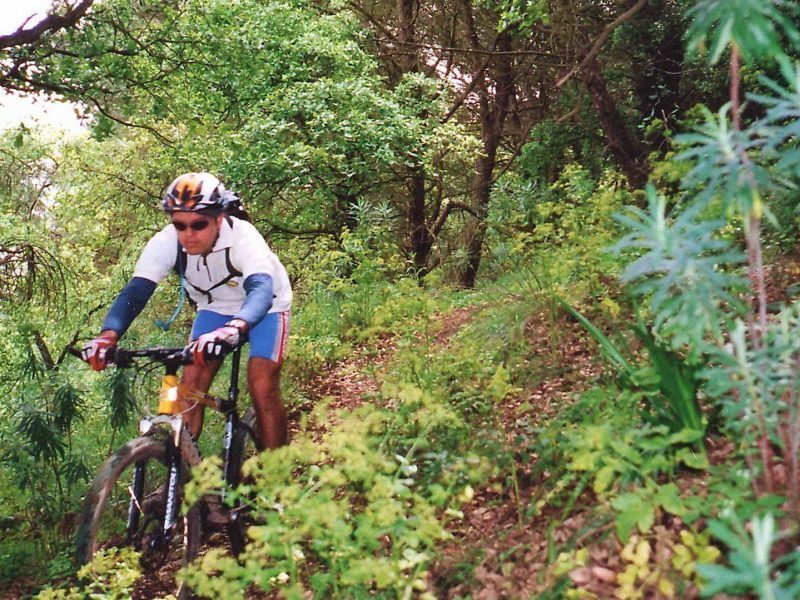 Enjoy the beautiful and winding single-tracks in the Mediterranean forest and end in Setubal.